There was definitely at least one person who hated Sunday's MTV VMAs: Maroon 5 frontman Adam Levine. Actually, make that two people: His wife, Behati Prinsloo, was also unimpressed with the show. 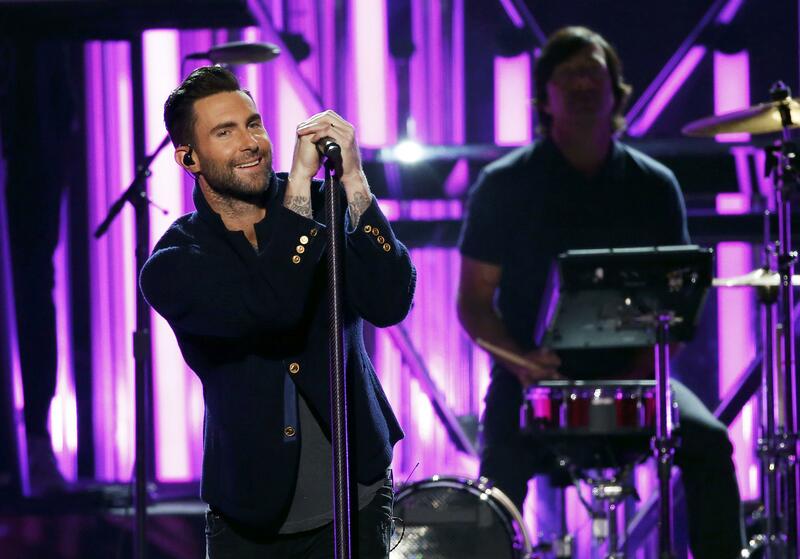 Levine, who is also a coach on "The Voice," was not afraid to burn any bridges with MTV's signature awards show. But the Maroon 5 singer actually started off the night encouraging his fans to vote for his friend, Julia Michaels, for best new artist. Then things turned sour when the VMAs cut to a commercial break during Michaels' performance of her song "Issues" (she did not win the award for best new artist, either). Levine tweeted, "It's always exciting to see how utterly horrible the VMAs will be. They really delivered so far this year. #HOLYF**K."
He also threw Lorde under the bus for not singing during her performance. Meanwhile, his wife joined in on the VMA-bashing and tweeted her criticisms of the show as well. Prinsloo clearly did not appreciate Perry's scripted jokes, saying, "#makeitstop." Levine's grudge against the VMAs goes back a long way. He tweeted in 2011, "the VMA's. one day a year when MTV pretends to still care about music. I'm drawing a line in the sand. f**k you VMA's." He did tone it down in 2014 when he played the show, but in 2015, he tweeted, "I'm five minutes into the #VMAs and I already need a shower." I'm five minutes into the #VMAs and I already need a shower.